Dimenzije: 26,50 x 26,50 cm. Bogato je opremljena fotografijama u boji. 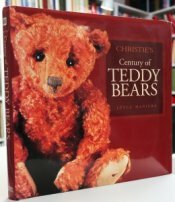 A beautiful, funny, fascinating visual celebration of an American classic delves into the Christie's archives for priceless images from a century of Teddy Bear history and lore. Baseler, Marja: Prvo ti, onda ja!